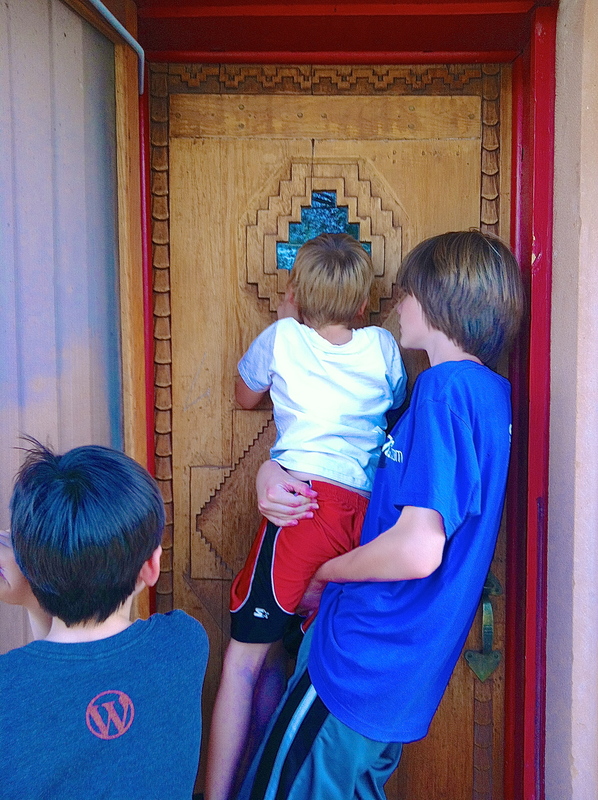 The Southwest is chock full of cool looking doors. This one is from the Hubbell Trading Post, a National Landmark near Ganado, Arizona. 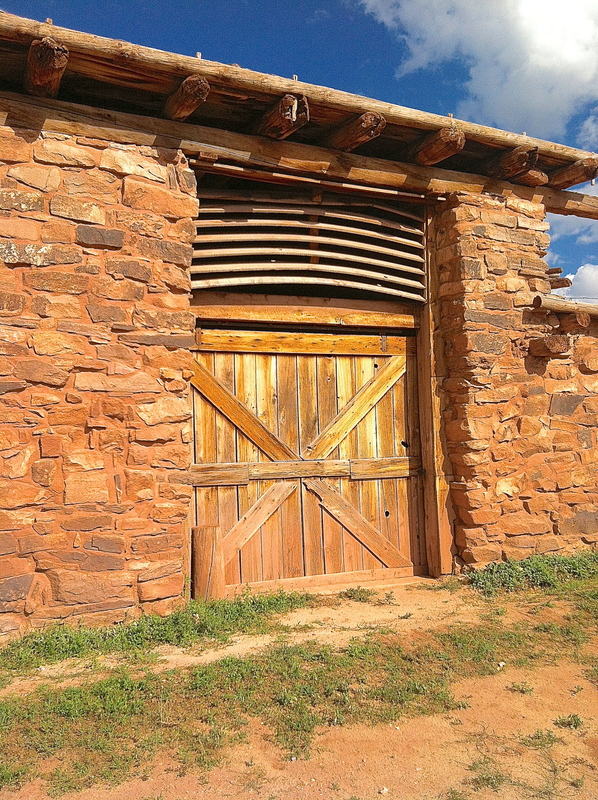 The massive wooden door on this barn was amazing. I love the slats above the door. This was actually a pretty neat sightseeing stop, if you ever find yourself in Northeastern Arizona I recommend it. It’s not really an active farm, but chickens, goats, and horses are kept on the property so in addition to the ancient farming tools stored in the barn, the hay was piled to the ceiling. I do love the smell of hay. 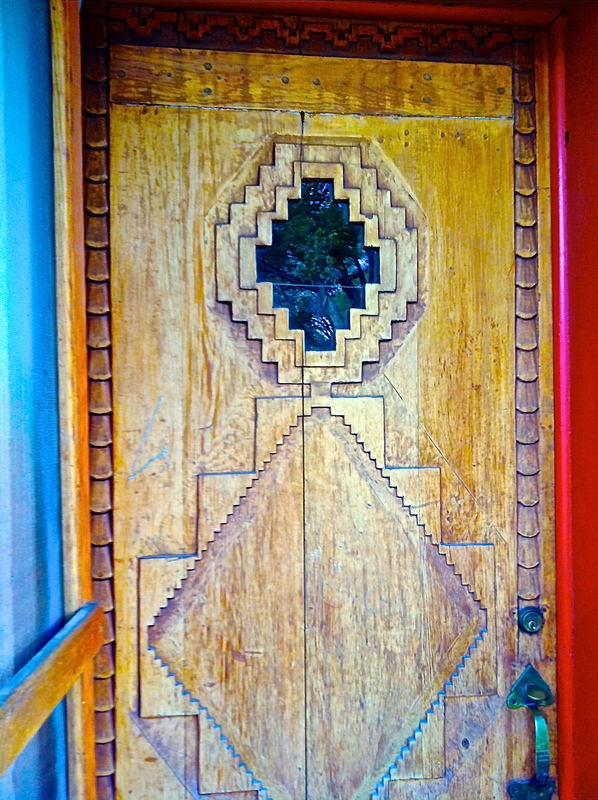 This is the guest house door, hand carved, I imagine. I’m a sucker for red on houses, I love this door frame. I love doors–they imply mystery. What is behind the door? Who lives there?…That is why I used a door on the cover of my book, The Dead Game. Maybe that’s why I like them, I love stories. I love doors. They imply mystery. What is behind the door? Who lives there? That is why the cover of my book, The Dead Game, has a partially ajar door. I love doors! On all my travels that is one consistancy…lots of pictures of doors!